In 2018, not only is there an app for everything; there’s a protein for virtually every lifestyle, and that’s a good thing. Conventional food dangers have driven many of us to adopt healthier diets. Although vegetarian diets still contain animal products, they’re generally more beneficial and safer. One product, egg white protein powder, provides complete protein without the allergens and health risks of dairy protein powder. 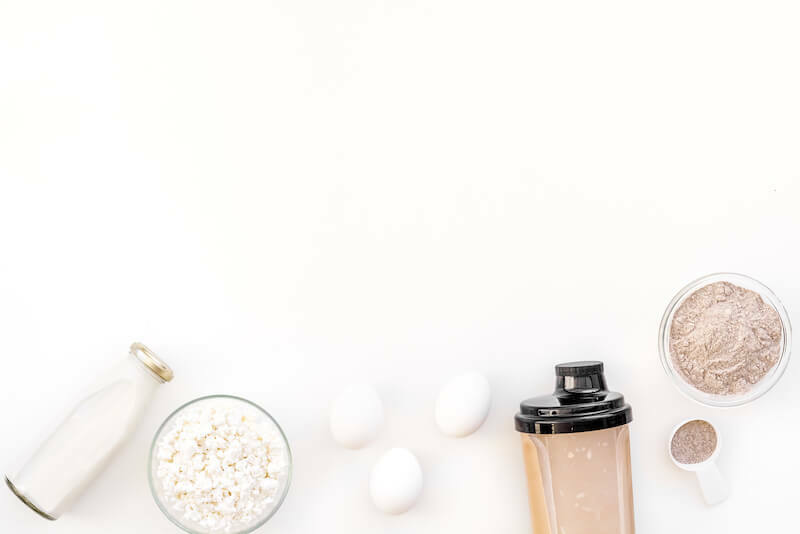 What Are the Best Egg White Protein Powder Brands to Buy In 2019? Egg white protein provides adequate protein supplementation without the dairy. However, healthier alternatives are not without faults. To ensure you’re getting the best out of your egg white protein powder, there are a few things to look for. How Are They Treating The Chickens? A few aspects go along with the thought of humanely raised chickens: their quality of life and slaughtering methods. The second method is somewhat irrelevant when considering the consumption of eggs. When considering the first aspect, perhaps there need be no reason other than consideration for the well-being of animals. What’s interesting is that a chicken’s high-quality life, such as having space to roam and having a healthy and varied diet, does contribute to human sensory perception. Researchers Lin, Kuo, and Wan conducted a study on game hens in Taiwan. Findings show that free-range hens had higher collagen, less fat and better texture. Their taste scores were also significantly higher than those of caged and floor-pen hens. A logical conclusion would include that the eggs would also have higher quality and better taste. Does The Feed Include Genetically Modified Ingredients? From tomatoes with fish genes to pest-resistant soybeans, genetically modified foods have impressed the world with scientific innovations. However, possible side-effects of GMO’s have proven to be too detrimental for some of us. Few studies assess the effects of GMO’s on animals. Author Leslie Hatfield wrote an article that discusses how GMO feed causes severe intestinal inflammation, ulcers and bladder diseases in both female and male pigs. Furthermore, female pigs hard disproportionately larger uteri than those raised on non-GMO feed. A separate study, conducted by Huber, van de Vijver, Parmentier, et al., found that organically fed chickens had higher immunity versus those fed conventional diets. Protein powders often have added sweeteners to enhance the taste of what may otherwise be bland or unappetizing. Although some products are claimed to be sugar-free, they contain sugar substitutes that do more harm than good. One common additive is aspartame. Author Kirtida R. Tandel asserts that the substance may cause seizures, methanol toxicity, tumors, and allergic reactions. Other not so healthy sugar substitutes include fructose, sucralose, and more. Look for products that contain safe substitutes, like stevia, monk fruit or coconut sugar. Some animal products also contain hormones and antibiotics, which are unnecessary health-risks. They are both known to cause hormonal imbalance, behavioral problems and cancer in humans. Which Egg White Protein Powders Made The List ? With Paleo Thin, you get just what you asked for and not much more. This protein powder contains 25 g of protein per scoop and is equipped with all the essential amino acids. It’s made with egg whites from hormone and antibiotic free, non-gmo chickens. Other ingredients include sunflower lecithin and natural flavors. Flavor varieties include glazed donut, chocolate, blueberry, coconut cream, cinnamon roll, espresso, and for the less daring, unflavored. Mix it with your favorite beverage, such as coconut or almond mix. 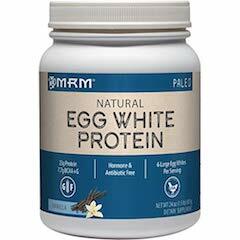 This product keeps it simple by providing you with 1 high-quality ingredient: non-GMO, humanely produced, dried and pasteurized egg white powder. With 4 grams of protein per tablespoon, it may work better for cooking than as protein supplementation. Judee’s gluten-free egg white protein powder is a simple formula made with GMO and soy free humanely raised egg whites. With 1 other ingredient, sunflower lecithin, it provides you with 20 grams of protein per 1/4 cup. The taste has an overall good rating, and the powder can be easily mixed with your favorite beverage. When producers take pride in supplying their consumers with quality and taste, this is what you get. This egg white protein powder contains 24 g of protein per serving and all 3 BCAA (branched chain amino acids) as well as the essential amino acids and more. Available in chocolate, unflavored, chocolate and vanilla, it’s all natural and delicious. This protein powder comes from a reputable company known for the purity of their products. The one ingredient, egg white powder, supplies you with 16 grams of complete protein per 1/4 cup. It’s non-GMO and contains BCAAs. As for taste, some customers claimed there is none while others complained about the saltiness. However, it mostly rates tolerable to good in the taste category. MRM’s mission is to create original health products that reflect solid data collection, analysis, and interpretations. For this reason, you can expect this protein blend to provide superior nutrition. Their protein contains all-natural ingredients and is free of dairy, cholesterol, and gluten. You can try this protein powder in rich vanilla or chocolate. A large percentage of consumers praised the taste. If you are looking for a powder that is gluten-free, soy-free, and dairy-free, Naked Egg’s egg white protein powder is one of the top options. It is paleo-friendly, Halal and also kosher. 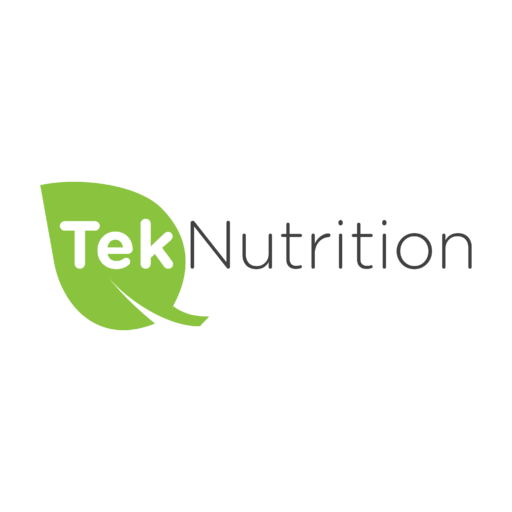 Overall, it is considered to be one of the “cleanest” egg white protein powder products on the market since its ingredients are kept to a bare minimum. 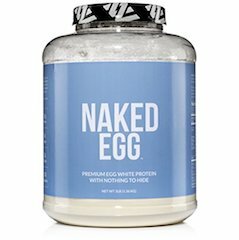 Naked Egg’s protein powder contains 5.8 grams of BCAAs in each serving and packs an impressive 25 grams of protein per serving. 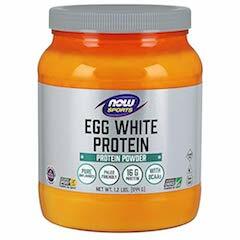 Typically, a lot of egg white protein powders contain about 20 grams, so Naked Egg comes to a lot closer to the amount of protein you will find in whey protein powders. Additionally, you will not find any artificial flavors, sweeteners, or fillers in Naked Egg’s products. In fact, there are only two ingredients in this protein powder: certified non-GMO eggs and sunflower lecithin. Also, the eggs that are used in production come directly from American farms. They are all processed within 24 hours or less in order to keep a high nutrient profile. In sum, there are a few high quality, unique egg white protein powders available. They are available in a myriad of flavors and worry-free ingredients that are non-GMO, soy-free, sugar-free and all natural. As for our review, Judee’s Gluten Free is our best choice while Now Sports is our best price. 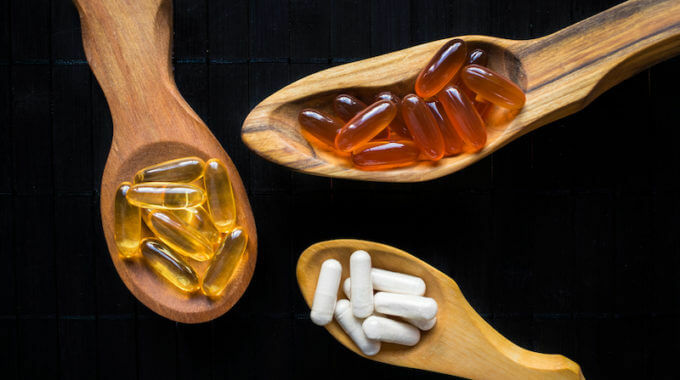 What Is The Best Beta-alanine Supplement of 2019?